At last spring is here! The weather is not cooperating as we had hoped, but we are still able to find windows of opportunity to work the fields. 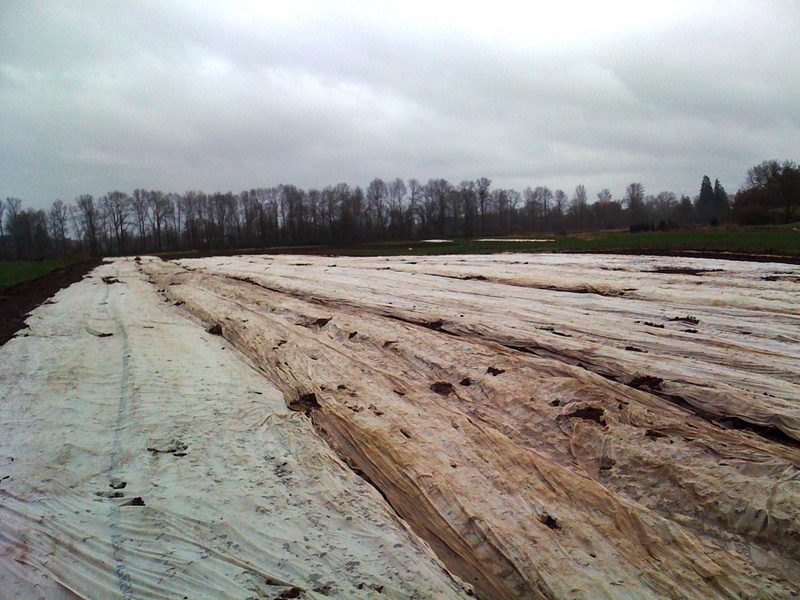 Mowing, plowing, disking and tilling. We have managed to plant about an acre of seeds including carrots, beets, peas, onions and turnips. Each row planting is covered with row cover to protect the seed from the elements and create heat which encourages the seeds to germinate. This thin cover or blanket will stay over many over our crops throughout the season allowing the crop to reap sunlight, breathe and drink. Since we use organic growing practices, the cover is crucial in protecting our crops from insect damage. We love the results it provides. We’ve been enjoying last year’s collard greens, mustard greens and leeks but one of our favorite spring harvests grows wild near the wooded river banks at our farm. Our taste buds water at the thought of fresh stinging nettle. We put them in everything from our favorite Pho to scrambled eggs. 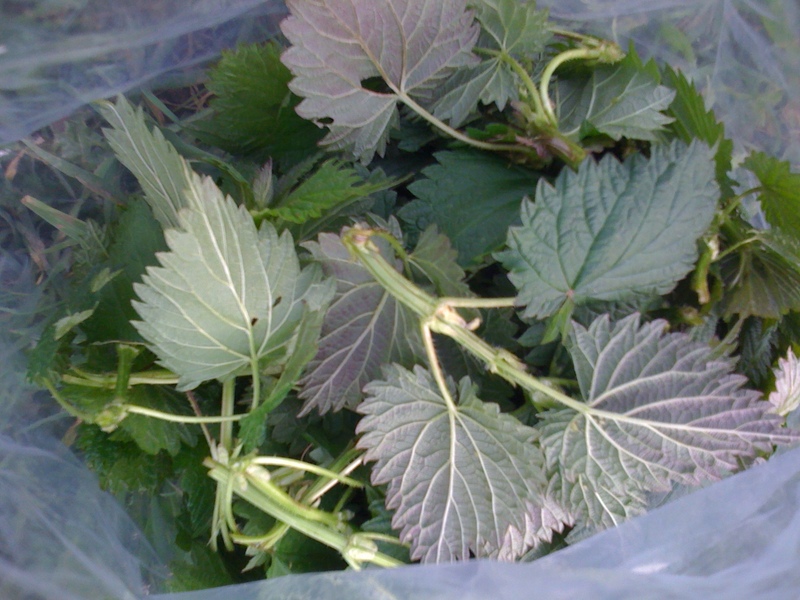 If you are interested in nettle, we encourage you to read about it at Wikipedia. http://en.wikipedia.org/wiki/Stinging_nettle. It requires careful handling with gloves to avoid the painful aftermath, but once boiled it becomes a tasty treat. Be sure to drink the tea it provides. The health benefits are amazing ranging from helping with symptoms of eczema to arthritis. 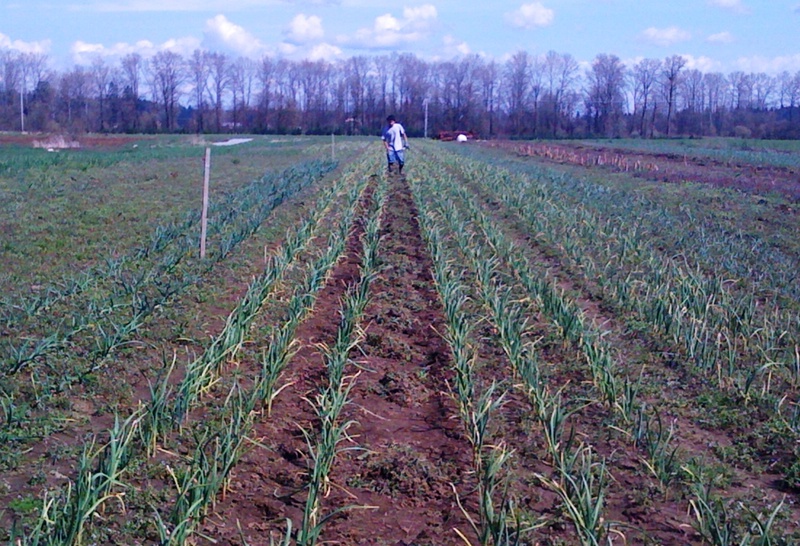 Our garlic planting is doing quite well. We saved seed from last year and have added a couple of new varieties. 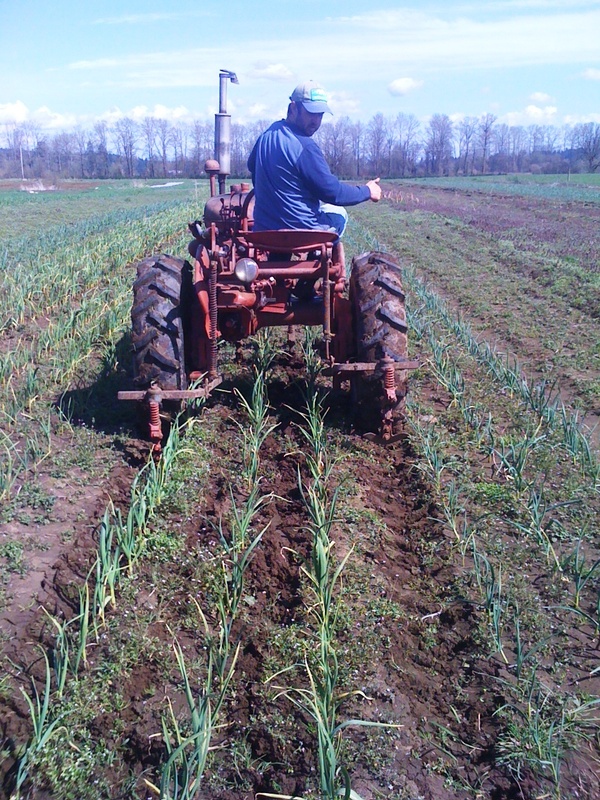 It was time to begin the weeding process this week, so we took the cultivating tractor through the field. Although a little wet, it still did the trick. It improved the weedy situation quite a bit and loosened the soil to make the hand weeding a little easier. We’ve also been ramping up the flavor in our meals with a little green garlic. We are now taking CSA members for the 2011 season. Our first deliveries begin in June. Please visit our website for more information about CSA. Don’t miss out on our $25.00 credit for members who sign-up by May 1. http://www.newaukumvalleyfarm.com/csa.html.